Microsoft recently announced the highly anticipated Windows Phone 8, and scheduled devices based on it to be released later this year. Microsoft also announced that no Windows Phone 7 devices sold today or in the future will be upgrade-able to Windows Phone 8. 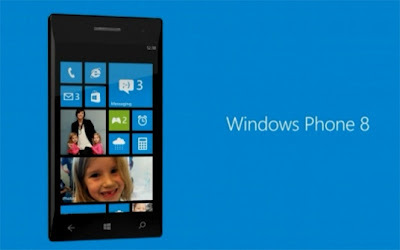 They also announced that Windows Phone 8 apps will not be backward compatible with WP7 devices. Let's take a look at the impact this could have on key stakeholders, i.e. Nokia & App Developers. Microsoft had hyped Windows Phone 8 as a smartphone platform that would be on par with iOS & Android, and many Windows Phone buyers were disappointed to learn that they would not be able to upgrade their current devices to Windows Phone 8. Microsoft had very good technological reasons for this decision and they have even admitted that this was always the plan. But given the fact that Nokia had bet its future on Windows Phone, there is no doubt that this would hit them the hardest. Before we begin, let's first take a look at the impact Nokia's Windows Phone devices have had in their primary market of focus, i.e. the United States. The market share figures above are from Comscore and include both Windows Phone and the older Windows Mobile. The steady drop in market share can be most likely explained by the exodus of consumers using Windows Mobile. The key points of interest are the impact of the Lumia 710 and the highly anticipated Lumia 900. Since major product releases have the largest impacts on monthly market share, this data corroborates reports that even though the Lumia 900 had an acceptable level of sales, it was no game-changer for the Windows Phone platform. This is in stark contrast with the impact of an iPhone or the Galaxy S3 release. Windows Phone and Nokia still seem to be struggling to gain a foothold in the market. Is Microsoft's decision on Windows Phone 8 upgrades & backward compatibility going to have a large negative impact on Nokia's prospects? Based on the Android platform's spotty upgrade record and their market share, it would not seem so. But that's only part of the story - Let's take a look at the product adoption lifecycle and how it ties in with Nokia and Microsoft's Windows Phone 8 decision. Most failed technology products are unable to break through "the chasm" in the figure above, and that's exactly where Windows Phone & Nokia find themselves, i.e. most of their users are innovators & early adopters. Whereas, the Android platform has reached a sufficient stage of maturity and most of their users now form the early & late majority. Which consumer segments care most about upgrades and backward compatibility? Obviously, it is the innovators and early adopters, i.e. most Windows Phone/Nokia Lumia buyers. This means that Microsoft may have made another strategic mistake by alienating most of their existing smartphone user base in one fell swoop. This is the primary reason why analysts have sharply cut Nokia's sales estimates for the rest of the year in the wake of this decision by Microsoft. At this point, Microsoft's Windows Phone 8 decision puts the very survival of Nokia in question as they seem to be burning cash at an alarming rate. In fact, Nokia Chairman Risto Silasmaa's proclamation that Nokia has an unstated backup plan to Windows Phone is in direct contrast to numerous statements by CEO Stephen Elop. This is the first indication that Nokia may be starting to see the reality of the situation it finds itself in. To date, the Windows Phone marketplace has seen steady growth and recently grew to 100,000 apps. But this still lags behind Apple's App Store and Google's Play Store by a massive margin. A recent developer survey by VisionMobile stated that 57% of developers were interested in building apps for Windows Phone, provided user adoption increases. Based on the information in the section above, we already know that adoption levels for Windows Phone are still scraping the bottom of the barrel. Developers were hoping for Windows Phone 8 to drive adoption and increase the size of the user base to start developing for Windows Phone. Unfortunately, Microsoft's decision on backward compatibility of Windows Phone 8 apps seems to have thrown a wrench into the works. Windows Phone 8 offers devices with better hardware that developers can take advantage of, but since there is no backward compatibility, the size of the install base targeted by those apps drops from the small base of Windows Phone 7 users to zero users currently on Windows Phone 8. So now, developers will need to track the adoption of Windows Phone 8 separately to make the decision to build for the platform. This is made even more difficult by the fact that market share data for Microsoft is usually reported on a consolidated basis for its platforms, i.e. Windows Mobile, Windows Phone 7 and the upcoming Windows Pone 8. Because of this, Microsoft may face even more challenges in attracting developers to Windows Phone 8. Conclusion - Microsoft's decisions on Windows Phone 8 have put the very survival of Nokia in question. Nokia may have to make some extremely difficult decisions to ensure its survival, including the execution of Risto Silasmaa's "contingency plan". Attracting app developers may be a challenge as well, given the lack of backward compatibility of Windows Phone 8 apps.